Televisionista: LOST Spoilers #404 "Eggtown"
Kate faces the music tonight, on an all-new "Lost." 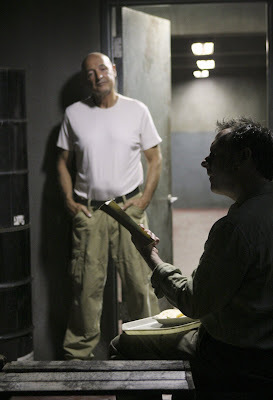 Locke experiences a deja-vu of an equally-frustrating season 2 situation involving the man previously known as Henry Gale. Kate is desperate to find out whether the people on the freighter know she is a fugitive from justice and whether the police are still after her. But Miles refuses to tell unless he gets to speak with Ben who is held hostage by Locke. 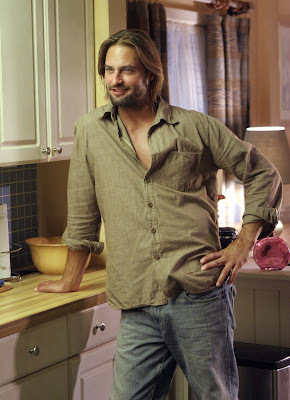 Kate gets Sawyer to help her arrange the meeting. 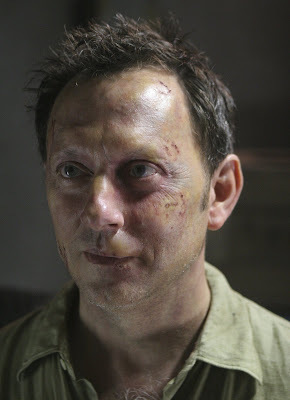 Miles offers Ben a chance to buy his freedom from the Dharma Initiative. Will Miles succeed in persuading his people he had killed Ben? Ken Leung who plays Miles won't be staying long on the show, so his fate may be sealed. 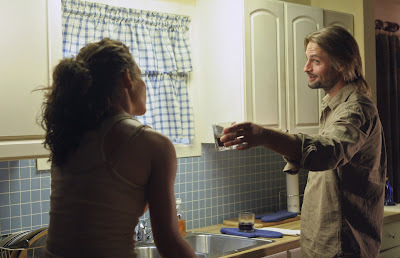 Meanwhile Kate, who suspects she might be pregnant, shares a tender moment with Sawyer before a bitter break-up. The Kate-centric episode flashes forward to her future trail where both Jack and her ailing mother come to her rescue. The doctor however can't seem to come to terms with Kate's son Aaron. 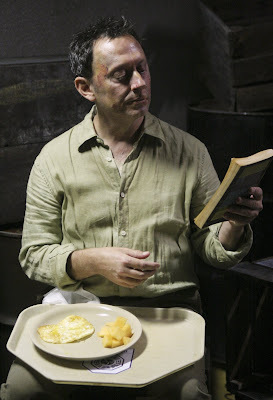 The "Eggtown" episode of "Lost" airs tonight at 9/8c on ABC.